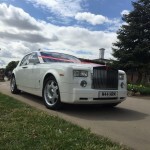 Manns Limousines are able to supply a range of modern wedding car hire options. 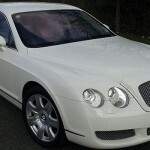 This can vary from Matching Pairs of the award wining Rolls Royce Phantom wedding cars, the Rolls Ghost, Duplicate White Bentley Continentals in White and Silver. 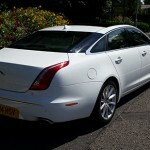 There is also a range of Jaguars from Matching XF's to the Long Wheel Based XJ for a wedding car with extra leg room. 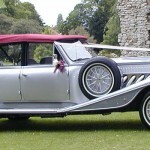 Manns Can Also offer more traditional wedding car rental for a Classic themed wedding. they have a range of Beaufort tourers, available in both silver or Ivory with a range of different Hood colours that when possible will be matched to wither the Bride or Groom Colour theme. 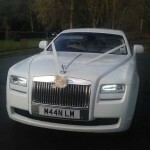 Your wedding is an extraordinary day in your life, when you want everything to be perfect, including Wedding Car Hire. Mann’s Limos is the leading Birmingham based provider of Wedding Cars for Hire with everything from vintage classic to modern luxury cars. 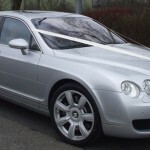 At Manns limousine we have an expansive range of luxury, modern cars ready to hire around Birmingham to make picking your perfect car for your wedding as easy as possible. 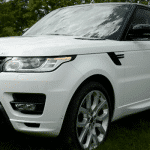 Whether it may be the stylish Jaguar Xf, the Elegant white Range Rover or the unrivaled beauty of the Rolls Royce Phantom all our chauffeur driven cars would compliment any wedding day perfectly. 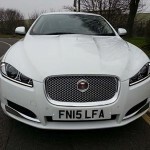 Just choose your preferred hire car for your wedding and get a free quote today. 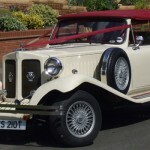 If a more traditional wedding car is more your style here at Manns limousines we have a collection of vintage classic Beauford Tourer wedding cars for hire. Available in a variety of beautiful styles and designs you can choose the right colour from our selection of this vintage wedding car to make an entrance that nobody will forget. Its easy! 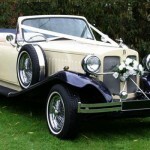 Select the classic wedding car for you and get a quick quote today!